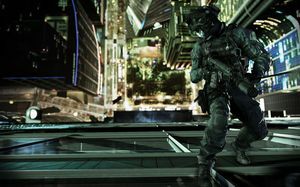 The tenth core Call of Duty game overall, Ghosts sees Infinity Ward back at the helm and eager to lay out a new fiction for the universe. Does this mean gameplay changes for the creaking franchise? Of course not. Matt Maguire responds to the call anyway, but only out of a sense of duty. 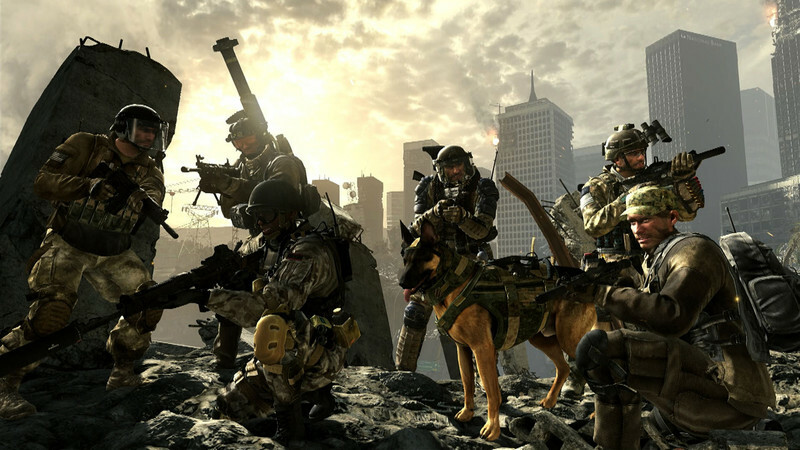 For years now, anyone sliding a Call of Duty disc into their platform of choice has known what they are in for: a riff on 2007’s franchise high water mark Modern Warfare. Sure, there will be the odd experiment such as Black Ops II’s real-time strategy elements, but as long as the brand remains a license to print money, Activision would be foolish to take a chance with the series and risk alienating its massive player base, many of whom it believes aren’t even 'true' gamers. That said, there will be a tipping point even for Activision's investors somewhere down the line, and the somewhat disjointed campaign and overly-familiar play of Ghosts could be its herald. 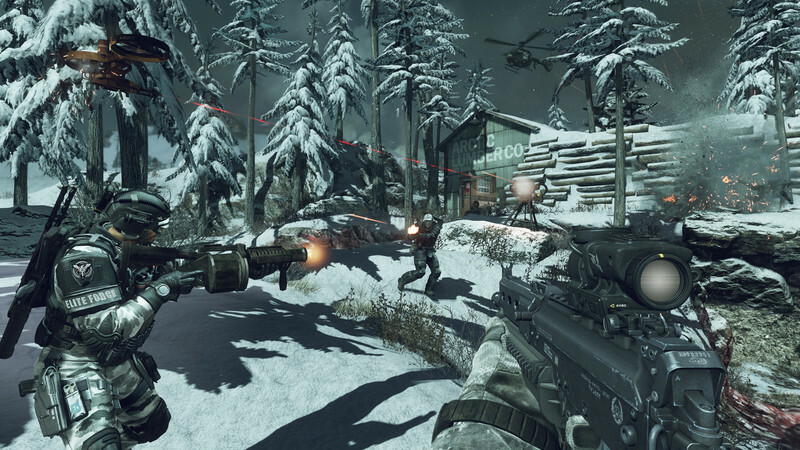 Call of Duty: Ghosts' singleplayer campaign is the least cohesive of the series. 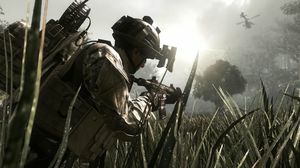 While it isn’t the slog that Infinity Ward's last title Modern Warfare 3 presented, its primary villain has incredibly flimsy motives for his actions, and the ensuing carnage seems completely disconnected from the main story thread. Basically, peak oil has seen South America grow in power and unite under the banner of The Federation, which then decimates the USA using that country’s own orbital strike system. Also, someone is killing off the few remaining members of an elite US resistance group who call themselves Ghosts. The player character is a marine by the name of Logan, who – along his brother and commanding officer father – plans on taking back his home turf or hemorrhaging red, white, and blue trying to do so. So yeah, it’s the usual "God bless the USA" propaganda that those with any sense of history or slight understanding of current affairs might find somewhat odious. If not, the overwrought appeals to emotion thanks to the story’s family connections should prove off-putting enough. Fortunately, there are more than a few unintentionally hilarious moments scattered about, as the typically po-faced yet preposterous franchise hauls itself between story beats now all-too-familiar to COD players. Yes, one of these involves a Ghost's mask being pulled off. Another recalls the dumbest scene from Liam Neeson's The Grey. The missions and even settings are pretty well-worn by this stage as well, although stadium shootout and ice escape sequences are pretty good, as is a flooded level that allows players to dip beneath waist-deep waters to shoot unaware enemies in the knees. 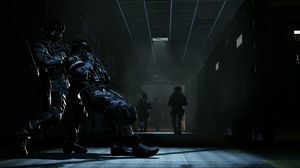 The best level is a tense and action-filled infiltration of a sprawling base disguised as the enemy, but too many sections elsewhere give the player any width to work with, and more than a couple of scenarios feel overly familiar, even by COD standards. Familiar too are Ghosts’ mandatory vehicle levels, which are arcadey and mostly enjoyable, but far too easy. Who knew a tank had such great acceleration and handling? The same goes for sections involving Riley, the game’s much-discussed canine companion. During those passages, the player either commands Riley to attack enemies they highlight (which is great when a reload is in order), or controls him directly via a slightly low resolution camera feed. Riley is enjoyable to control simply because he’s so fast and can one-shot everyone, but also because he can hide in long grass and – hilariously – perform stealth takedowns. All that's missing is a high-five and a shot of the dog winking. Other new features include faster obstacle vaulting and a knee slide that are of much more use in multiplayer, and the same goes for a contextual lean system that allows players on the edge of cover to lean out simply by looking down a weapon’s scope. However, the campaign is COD to the core, and that means plenty of slo-mo, bloom, on-rails shooting, shakey cam, blur effects, stealth bits, and following orders. It's the same blockbuster formula, only it has been worn down from too many retreads, and deflated by an lackluster story that gives the player little to care about. According to Activision, Ghosts is home to the biggest overhaul of multiplayer since the original Modern Warfare. Players may now create up to 10 soldiers, choosing a gender, head, body type, head-gear, class, perks, and equipment as they go. 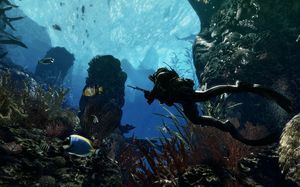 New recruits will then want to check out Squads, which is essentially a bot-based training mode that allows the player and five of their soldiers to battle a similarly-constructed opposing team, or else any combination of players and bots can tackle a wave-based survival mode. It’s fine for the timid, but online is what COD is really all about. The Perks system has seen another overhaul, so now all 35 perks have a value from one to five, and each soldier has eight perk points, or up to 12 if they ditch their primary and secondary weapons and empty their lethal and tactical slots. Perks are unlocked either by hitting the required experience level, or by paying Squad Points for immediate access. Squad Points – which are earned by playing the game – unlock weapons, killstreaks, attachments, and equipment as well. It’s not as straightforward as the system in Black Ops II, but it appears to have been done in the name of balance, which is hard to argue with. 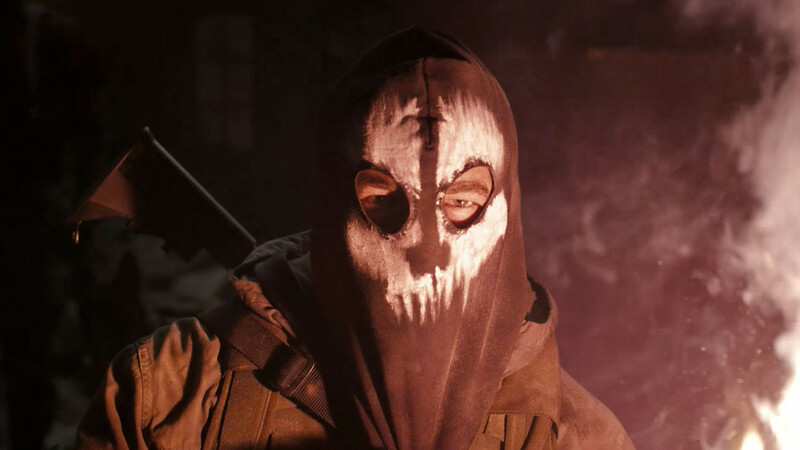 Speaking of killstreaks, more than 20 new rewards for uninterrupted murder feature in Ghosts, including one that brings Riley into the fray as a guard dog, and one that transforms the user into a Juggernaut Maniac – a heavily armoured brute wielding a machete. Many players will be happy to discover that air-based killstreak rewards are rarer here, with UAVs replaced by ground-based radars that ordinary attacks can destroy, and air attack rewards reserved only for the longest of killstreaks. This is a great change, and keeps the action and soldiers' eyes where they should be – on the ground ahead. Somewhat related, care packages have been excised from perks and are now only available by completing Field Orders – mini kill objectives that drop every now and then and task players with getting a melee kill or prone kill within their next life. It’s a smart way to force a player to perhaps vary their play style for a life, but whether it’s a better system overall is moot. 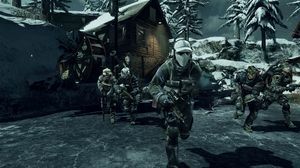 There are five new game modes in Ghosts, and while the majority are worth a look, only one – Search and Rescue, literally a combination of Kill Confirmed and Search and Destroy – appears to have any real potential. Also enjoyable is Blitz, which has points scored by running into a special zone in the enemy base. When that occurs, the scorer is teleported to a random spot on the map and a 10 second cooldown applied to the goal. By contrast, any charm possessed by Cranked, Grind, and especially Hunted is fleeting – they feel more like peripheral modes to be dipped into when boredom with all others hits. Map-wise things seem good, with a decent mix of small and large, open and dense, flat and tiered. There are also environmental events that can be triggered such as the destruction of a wall, the closing of a particular path, or the one-off triggering of a trap like falling logs or an exploding gas station. These didn’t factor in much at all in our playing time, but are small things that could tip the balance of close matches. Pre-order map FreeFall has players fight it out in a constantly-changing environment inside a collapsing skyscraper, but its textures are ugly and the map too closed in. The only real complaint about the all-new line-up is that at least three maps feel much too large for the six-on-six console player limits. But again – there is plenty of variety, even cosmetically. With something for almost all play styles, Prison Break is an early favourite, but obviously the utility of each map greatly varies by game mode as well as player count. Finally, there is also a new co-op game mode in Ghosts called Extinction. Unlocked after the campaign is complete, this rather excellent survival mode takes place just after The Federation's orbital strike, but its alternate history storyline tasks for up to four with repelling waves of xenomorphs in an abandoned town. 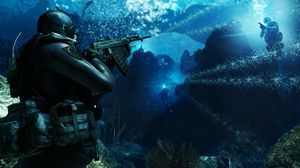 Players shift a drill from hive to hive to trigger each attack, and the weapon upgrade system and scavenging elements from Zombies mode feature, except players defend and repair the drill rather than board up doorways. There are four self-explanatory classes to choose from – weapons specialist, tank, engineer, and medic – each with distinct advantages and a small upgrade tree. The map is much more open than Zombies so getting cornered is rarely a concern, and the variety of space bugs to squish elevates Extinction well above that tired mode. So Ghosts is a bit of a mixed bag. The campaign is a disappointment and further proof the ideas well is almost dry, while Extinction is fun and the multiplayer a typically solid offering that also suffers from a lack of ambition. 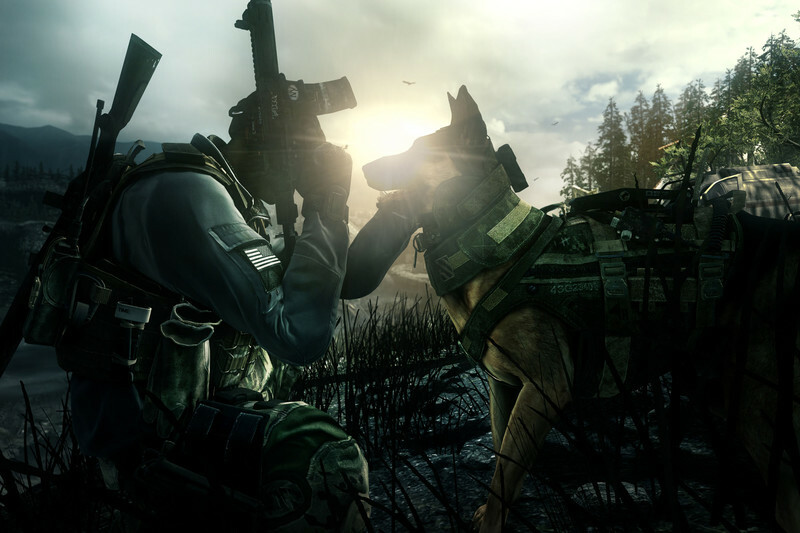 Infinity Ward arguably made the best game of the Call of Duty series with Modern Warfare, and the worst with one of its sequels, depending on whether single- or multiplayer is your bag. A completely new storyline, Ghosts was a golden opportunity to change things up, but sadly that’s not how the blockbuster game industry works. It's not a bad package by any stretch, but Ghosts nonetheless underwhelms when stacked up against its own brethren. Ghosts will disappoint those only in it for the singleplayer, although – Extinction aside – the multiplayer feels like just more of the same. Those who play online will still get their money’s worth, but a proper evolution of the series’ mechanics is now desperately needed. Ups Extinction mode is entertaining. The new maps are decent. You can play using a female character model. Downs The campaign is one of the worst of the series. Multiplayer is in a holding pattern. Free to enter, teams of four.